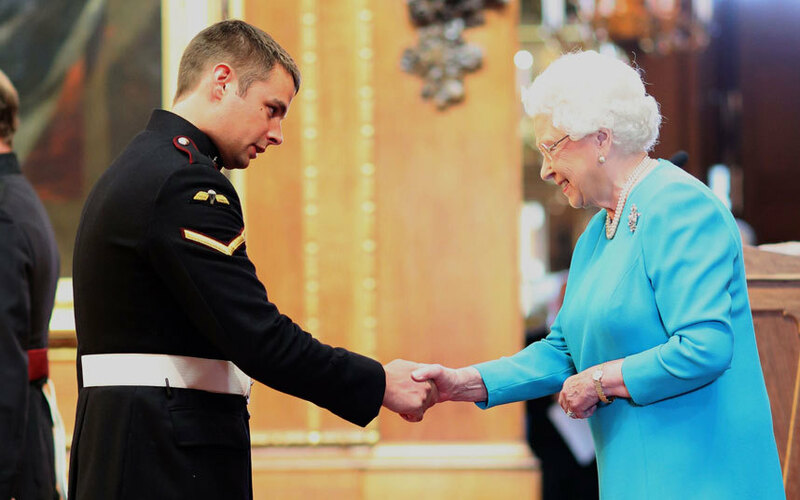 As a part of the commonwealth, each year during the celebration of his or her’s birthday, the monarchy grants many individuals with awards of decoration and medals. Each individual is awarded into natural and dynastic orders due to their distinguished service to their field or career. In order to receive a position on the honour list, the citizen must perform an action or deed that benefits the nation. The tradition began during the reign of Queen Victoria (our favourite), estimated to be from at least 1860. By 1896, prime ministers and governments had increased influence for the awards. So, Victoria instituted the Royal Victorian Order as a personal award on her behalf. It has been carried on by her successors since. This is one of many orders and award systems that Victoria instated. She also founded the Royal Red Cross in 1883. It is said that the founding of this was made to Queen Victoria by Florence Nightingale! While the honours originally took place on the sovereigns birthday each year, the event has been moved to be inline with the set ‘official’ birthday of the first, second or third Saturday in June. All royal honours are published and posted in the gazette of the relevant realm, including all Commonwealth realms. 2018 is no different and a number of architects and designers have made the cut. The contribution of our people in this prestigious tradition reaffirms that we are here to better the quality of life for society as a whole. Dr Natalie H M Jereminjenko, for distinguished service to the arts, through pioneering contributions to architect, technology, the sciences and engineering, and to rural and urban design. Professor Kenneth John Maher, for distinguished service to architecture and landscape design, particularly through urban infrastructure projects and to environmental sustainability in planning. Dr Robert John Riddel, for significant service to architecture as a practitioner, to education, and to heritage preservation in Queensland. Mr Damian Peter Rogers, for significant service to architecture, and to the building and construction industry, as a leader and administrator of professional organisations. Mr Alfred John Wheeler, for service to landscape architecture and urban planning. Natalie Jerminjenko has been appointed as an officer of Australia. Kenneth Maher has been appointed as an Officer of the Oder of Australia in the General Devision (AO). Dr Robert Riddel has been appointed as a Member of the Order of Australia in the General Division (AM). Mr Alfred Wheeler has been awarded a Medal of the Order of Australia in the General Division (OM). We once again congratulate all of the above recipients. Thank you for your contribution to the design, architecture and construction sectors within Australia. On a side note, this year woman have outnumbered the men on the list! Go team! Check out our project page for our contributions to the industry. Or contact us to find out more.